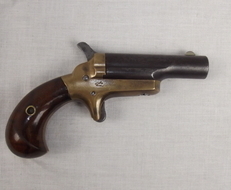 If you’re serious about collecting firearms or have a big passion for guns of significant historical interest, then the pistols and handguns section will be very enticing. 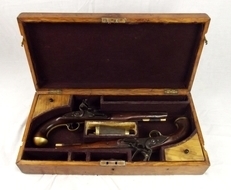 Featuring Flintlock pistols from the 1700’s and single shot handguns from the California gold rush era, there’s plenty to get excited about. We can guarantee that you’ll find something impressive to add to your collection. Not only that, but there’s a good selection of humane killers too, if you need a pistol for more serious, occupational reasons. Either way, we’re confident that there’s something for everyone here, so just enjoy browsing through and find what’s right for you.